Salem, aka Seaquest, is a 9-year-old red male born February 23, 2004. His sire is Greys Flamebeau and his dam is I'll Say She Can. 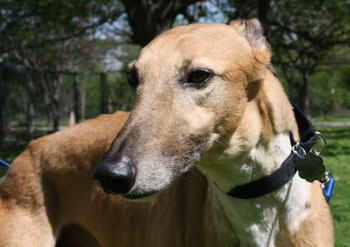 Salem has 180 races to his credit on Greyhound-data.com at Derby Lane and Tampa in Florida. He started his career on Septmber 15, 2005 and finished it on November 12, 2008. 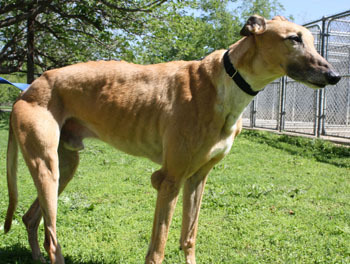 After that many races, he's sure to appreciate a nice comfy home!